Video: Quants! 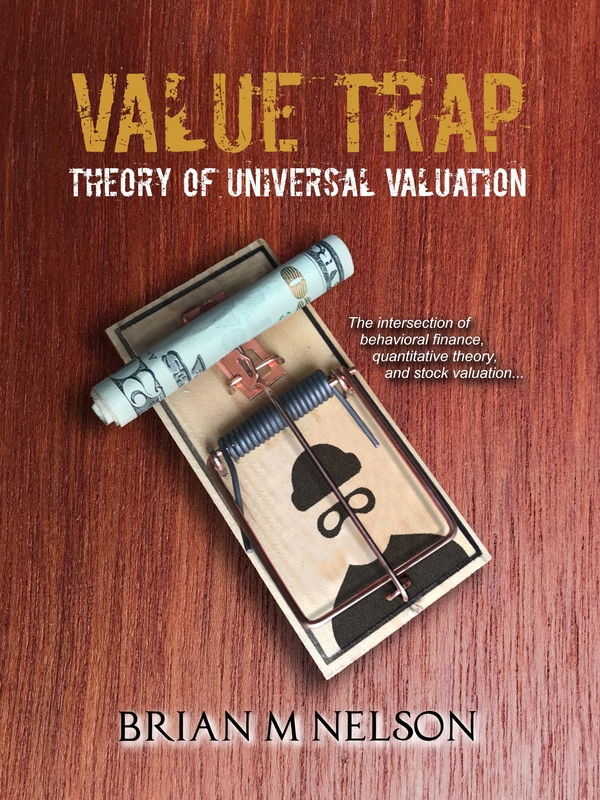 You're NOT Measuring VALUE and Nelson's Theory of Universal Value - Valuentum Securities Inc.
President of Investment Research Brian Nelson defines the concept of universal value and shows how quantitative statistical methods are inextricably linked to those of fundamental, financial, business-model related analysis. Value does not exist in respective process vacuums! Value is universal. Find out why. Running time: ~10 minutes. Hi this is Brian Nelson from Valuentum Securities, and this is the tenth edition of a series that I call “Off the Cuff,” where I get in front of the camera and I talk for ten minutes. This is what we have to talk about today. We have to talk about this concept: The Theory of Universal Value. Value does not exist in vacuums depending on what strategy one pursues, whether it’s a quantitative strategy or whether it’s a fundamentally financially-based, business-model oriented strategy. What I am going to talk about today is this concept of Universal Value, where an enterprise discounted cash flow model, a price-to-fair value ratio, and an enterprise-free-cash-flow derived multiples transcend styles, transcend into quantitative methods, and therefore establish the Theory of Universal Value. So we got to start really, really simple and then we’re going to get to moderately complex, and then you could tell me whether this makes sense, so please be sure to comment. Alright first and foremost, what we need to establish is the idea that a low P/E ratio does not mean a company’s undervalued. A high P/E ratio does not mean a company’s overvalued, nor does it mean it’s a growth stock. We could talk about more on that later, but for the time being that’s an important distinction. A high book-to-market ratio and a low book-to-market ratio doesn’t necessarily mean much of anything with respect to underlying value, and I’m going to explain why. In addition, enterprise value-to-EBITDA metrics also aren’t measures of value, and this is what we need to understand. A price-to-earnings ratio measures the price that investors are willing to pay relative to earnings, the price. Book-to-market (market capitalization) has embedded in it the market capitalization, which is a function of the price of the equity. The same thing with enterprise value to EBITDA--enterprise value has market capitalization in it; also it’s a price oriented metric. So you cannot get away from using price in a quantitative method, and this is what I’m talking about in terms of the concept of Universal Value. 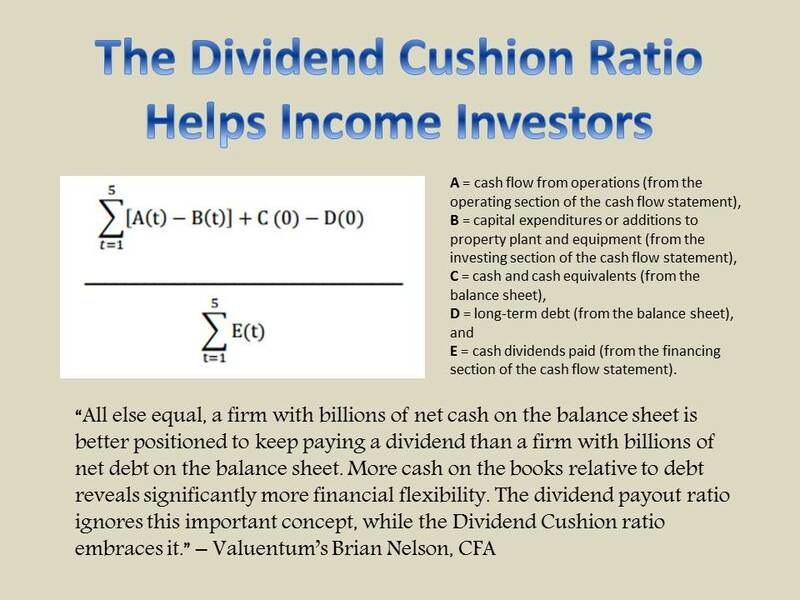 Within an enterprise discounted cash flow model, one in which three financial statements are used to drive enterprise free cash flow as a function of earnings before interest after taxes less net new investment, where future enterprise free cash flows are calculated discounted back to today and the net cash your net debt on the balance sheet plus or minus hidden assets are considered to arrive at equity value. Divide that equity value by shares outstanding, you get to equity value per share. Now this is the beauty, this is my “aha” moment. This is what I want to share with you, and this is the foundation for the Universal Law or Universal Theorem of Value. So when you take that equity per share and you’ve already derived that forward P/E, or that backward looking P/E. You’ve already derived that earnings stream. You’ve already derived an EPS estimate and history is history so you have last year’s earnings per share number. Taking that equity value per share divided by earnings per share you get a value P/E. So only by comparing that enterprise free cash flow derived value P/E to the price-observed P/E can you determine whether a stock is undervalued or overvalued. So this universal concept, this Universal Law of Value, inextricably ties quantitative statistical methods based on price observations to financial and fundamental valuation techniques. The enterprise free cash flow model is also going to have embedded within it an implied enterprise value to EBITDA metric. It’s also going have an implied book value to market metric--with that market capitalization embedded within it, the intrinsic value that’s driven by the enterprise free cash flow process. So what you need to understand, what you have to understand, is that the enterprise free cash flow model, it derives the metric that should be placed on earnings or on book value or on EBITDA, whereas the observation of pricing metrics, price oriented metrics within the marketplace, is a measure of what investors the price that investors are willing to pay for a particular unit of earnings, or what have you. So the enterprise DCF model establishes the framework for the Universal Theorem of Value. Value cannot exist in different vacuums across different strategies across different methods. The reality is that a high P/E ratio doesn’t mean a stock’s overvalued. A low P/E ratio doesn’t mean a stock is undervalued. If an enterprise free cash flow model derives what the intrinsic value of the equity on a per share basis, compares that to an earnings-per-share number to get at the value multiple that should be placed on a unit of earnings for that particular company. If that (value) multiple is higher than where the stock is currently priced at in the market (the price multiple), then that stock is undervalued. That price-to-earnings ratio as observed by the market (however), it could be a high P/E or a low P/E. What matters is the difference (between the value-derived P/E and the price-observed P/E), and this is where we’re getting to the next metric. What matters is the difference between that observed in the market via price and that derived via fundamental discounted enterprise free cash flow methods. So price versus value. So the next topic that I want to talk about is how to link everything together. Quantitative statistical methods are not independent to fundamental financial valuation methods. We talked a large part of the reason why. So in using multiple factors within a particular quantitative strategy and calling them value. If you are not measuring specifically or attempting to measure specifically the difference between price and value, you’re coming short on a value metric because value is always going to be with respect to its relative position to the price. So when it comes down to understanding this Universal Theorem of Value, it’s not how many specific factors are needed or the complexities behind things but a simple comparison between price and fair value. The enterprise free cash flow method is going to derive a fair value estimate on a per share basis for the company, so that fair value estimate per share is then compared to the stock price to derive a price-to-fair value metric. So quantitative methods, quants everywhere, should be thinking about how do I measure price versus value because that’s what a value metric is--so its about the relationship between price and fair value. Now if you have a stock price that’s far ahead of where one thinks the intrinsic value of that company is, that stock is overvalued. If you have a price that’s significantly lower than an intrinsic value estimate, that’s called a stock that’s undervalued, a bargain stock. So only when comparing the price versus fair value do you get a comparison of value. So this enterprise derived P/E ratio, book to market ratio, EV to EBITDA ratio which measures value and then compare those metrics to what’s being observed in the price. That’s how you can get and you could compare whether a P/E truly means a stock is undervalued or not. You just cannot look at the absolute level of that P/E ratio because there’s far too much embedded in that P/E ratio in order to make a deterministic statement about value. That being said, the enterprise free cash method is a subjective measure of value too. But the pitfalls of using multiple analysis are huge and using multiple analysis on a historical backward-looking basis gets to be ridiculous. So the important thing to understand here in episode ten is that the price multiples that you’re hearing that you’re seeing published everywhere are measures of price. Only through an enterprise free cash flow discounted model can value be calculated and the beauty behind that process, my “aha” moment, the beauty behind that is that you derive the corresponding multiples, then use those multiples as well to actually determine whether specific quantitative price observations are undervalued or overvalued. That’s all I have for episode 10, this is Brian Nelson from Valuentum Securities. Keep the questions coming info@valuentum.com.